Many people wish to learn more languages other than their native language. Some people follow through that dream, and some don’t. The people who don’t can be busy or sometimes they think they can’t, which is a mistake. There is never a wrong time to learn a language if you know all the right ways. If you follow certain tips, you can learn any language within the course of months. While it may sound difficult, learning a foreign language is not that difficult either. There are many books you can find in bookstores or online that will help you on this journey. Here are some key rules for you that will help you learn foreign languages more quickly. With these rules, we hope you will find it easier to get the hang of the target language you are learning. When you are beginning to learn a language, set some realistic and achievable goals. When you start out wanting to be fluent in a language in a few months, it is not going to help. That is something that is unfair. The only way you can learn a language is to break your goals into smaller ones. For example, do you want to be able to read in the target language or speak in the target language? There are different levels of a language speaker. There is a lower and upper beginner, lower and upper intermediate, and lower and upper expert. In which category do you want to fall? 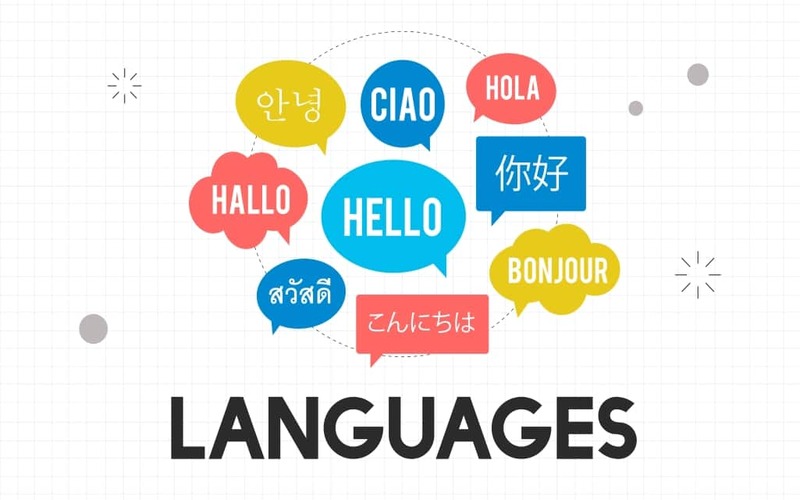 The basic rule of learning a language is to achieve the level where you can communicate easily, just like you would in your native language, and that is upper intermediate. When you broke down your one goal, learning a language, into to smaller, manageable goals that are achievable over months, you will see that this journey is not that hard. When you start, aiming to be fluent is not the best idea because then your goal is vague and confusing. But when you aim at reaching, let’s say, a beginner level in a certain time period, you will find it simpler to concentrate on that. The pronunciation patterns of all Latin-based languages are the same. So if you learn these patterns, you are close to getting the hang of what different words are called in your target language. Most of the Spanish words have an ‘o’ or an ‘a’ at the end, and once you figure this out, you will find it easy to learn the pronunciation. You can get dictionaries in the target language to increase your vocabulary, or you can get a pronunciation guide. If you are trying to learn French, you can always look up the French pronunciation guide to make sure that you pronounce every word correctly. Another way to learn the pronunciation is to listen. The more you will listen, the more you will remember. Every language has some words that are used the most. For instance, there are roughly 300 hundred words that you need to in the English language to get a grasp of what is being spoken/written. The point is, instead of wasting your time on random words, you should start with the most common words so that you can gain real progress. You don’t even have to learn all the words of your native language, do you? All you need to know are the right words and grammar, and you are on your way to acquiring a new language. Rote repetition is not the way to learn a language. This technique can burn the word into your memory, but that does not mean you can’t still forget it. Instead, you can try to come up with a memorable story with which you can associate the word with. This way is not as quick as memorizing a word by constantly repeating it, but is more long-lasting. After trying it a few times, you will realize why it is so effective. You will only need to recall the entire activity a few times, but after that, you will naturally begin to use the word. How will you know you are on the right path unless you put yourself out there? The only real mistake is to be afraid of making mistakes! When you talk in your target language to the natives, only then you will find out where you are wrong. Do not hesitate to use the target language and be bold. You are learning a language to use it, and you cannot hope to improve unless you start using it. You will find your mistakes and correct them once you speak to the native speakers of the target language. Do not be scared of getting embarrassed because people can know you are a learner. Getting out of your comfort zone is one rule you have to follow. You can only learn a language when you get used to it, and you cannot get used to a language unless you start speaking it. Learning a foreign language is not that difficult as it is made out to be. Follow these key rules to make sure you are on the right path!